In 1975 he earned the Licentiate degree in Moral Theology (S.T.L.) from the Pontifical Lateran University, Rome earning at the same time a diploma in Counselling Psychology. In 1976 he was employed to teach at the Alvan Ikoku College of Education Owerri, in the Department of Religious Studies. He worked at the same time as Catholic Chaplain to the College Community. From 1979 to 1984 he was on study leave at the Catholic University of America, Washington D.C. where he earned a Master’s degree in Religious Studies (M.A.) and a Doctor of Philosophy degree (Ph.D.) in Religious Studies and Education. In 1984 he returned to Nigeria and continued to teach at the Alvan Ikoku College of Education, rising to the rank of Principal Lecturer and Head of Department of Religious Studies. Concurrently in 1984/85 he taught Fundamental Theology at the Bigard Memorial Seminary, Enugu. While on Sabbatical leave in 1993 in the United States of America, he was appointed bishop of Owerri to succeed his revered predecessor, the late Bishop Mark O. Unegbu. He was ordained bishop 4th September 1993. 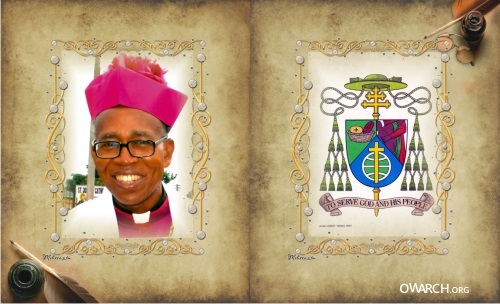 On March 31, 1994, he was appointed Archbishop and Metropolitan, Owerri Ecclesiastical Province. He is currently the Chairman, Education Commission, Catholic Bishops Conference of Nigeria. Under Archbishop Obinna the parishes in Owerri Archdiocese have grown from fifty to ninety three thereby increasing the pastoral challenges before him. He continues to face the responsibility of training seminarians for the priesthood, rebuilding the educational system with new schools, rehabilitating the Archdiocesan health care system with new structures, taking new project initiatives and helping church and society to grow in a healthy way. Through the Odenigbo lecture series which he instituted in 1996, he promotes evangelization vigorously encouraging the use and development of the Igbo language.